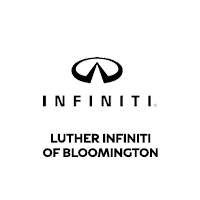 As of last week I've now purchased 3 vehicles from Steve DiFiore at Luther INFINITI in Bloomington. Each time, without exception, Steve was professional, informed, and willing to go the extra mile. The vehicle I purchased most recently came from another Luther dealership. Steve took the time to locate it, research it (CarFax, etc.) and even go and get it so that my wife and I could drive it in Bloomington where we were looking at other vehicles. He did this because it's what was best for my wife and me based on our wants and needs. I would highly recommend Steve to anyone interested in a vehicle from Luther regardless of the vehicle make! He truly has the best interests of his customers in mind. That is what has made us customers for life. Steve DiFiore was awesome! He's knowledgeable, professional and focused on his customers above all else. I recommend him without hesitation, whether you're buying today or just trying to learn more about vehicles and options. Steve is the perfect combination of someone who loves both cars and providing great customer service! I purchased a used Subaru from Luther INFINITI of Bloomington about 6 years ago and have been bringing it to their service department since I got it. It is the best experience I have ever had with a service department. Matt does great work on my car and is always honest with what I need to get done. The service manager, Rudy, is wonderful too. He is friendly and clearly explains things so I understand what needs to be done. He also patiently answers all my questions. I will never bring my car anywhere else. I had been to about 7 different dealerships before I was supposed to meet a sales person at Luther INFINITI in Bloomington. After there was some miscommunication, Steve came out simply to make sure I was comfortable and asked if I needed anything. From there I worked with him throughout the entire process. Couldn't be happier. Steve even followed up in the coming weeks to make sure I still loved my purchase. Would recommend him and have recommended him. Alex Blythe was awesome! She took such great care of us! If you're looking for a great vehicle at a grear price, stop by and see Alex! Sent an email regarding an issue for my older INFINITI. Even though I am from out of town I received a reply later in the day from Thomas. He was very courteous and offered several possible solutions for the problem that the local shops where I live haven't tried since I may not be able to bring my car down to Bloomington for service. He also answered every question I could think of and replied without with in depth knowledge over the phone. Definitely a way better experience than I was expecting from really any dealership. Steve DiFiore is an excellent salesman to work with. He always remembers your needs and does what he can to help you out at all times. My car is a dream! I LOVE it. The used car Manager, Scott was a huge help as well! They truly do want you happy and treat you like family. You cannot find a better dealer to work with. The first time you buy from them, you won't go anywhere else again!